An interesting competition has come out, offered by the Library of Congress, and folks with a creative, analytical, and/or technological bent might find it fun and worth a shot. 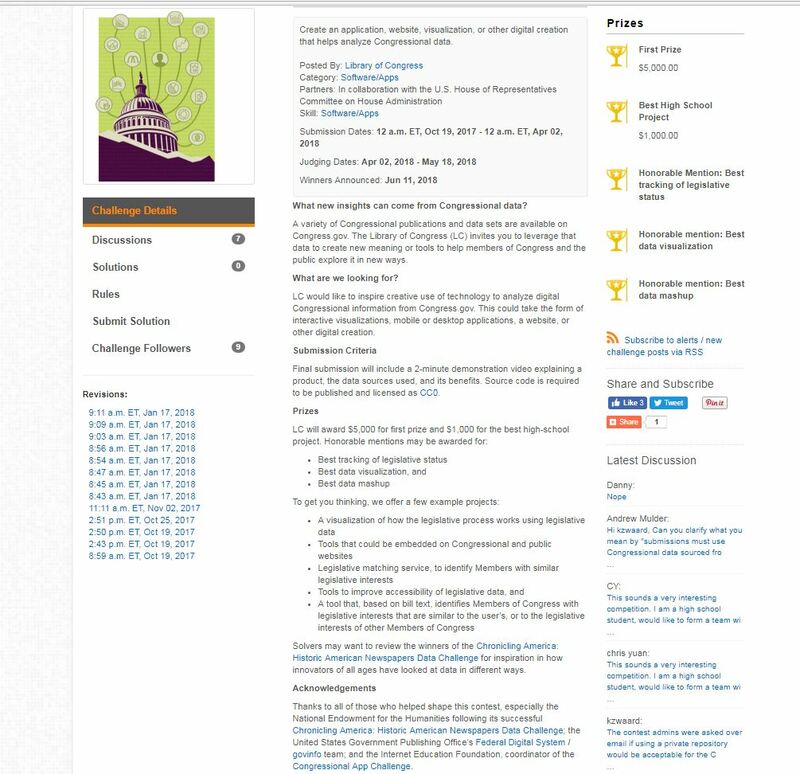 The Library of Congress is looking for some interesting and unique ways to use and analyze Congressional data. Take a look! Solvers may want to review the winners of the Chronicling America: Historic American Newspapers Data Challenge for inspiration in how innovators of all ages have looked at data in different ways. Be sure to check out challenge.gov for questions and to enter! We would love to see what you do!